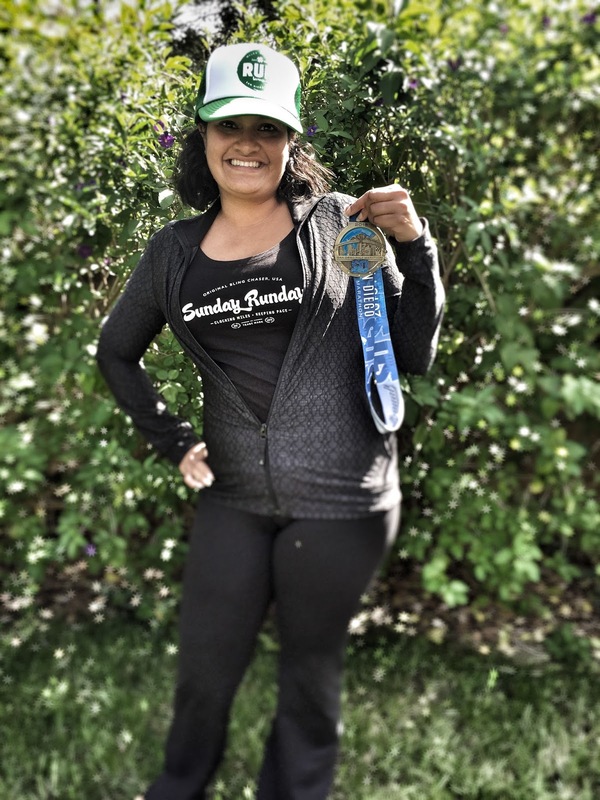 Running with SD Mom: Race Shirt Controversy: On Race DAY?! and a #Miles+Pace #GIVEAWAY! Race Shirt Controversy: On Race DAY?! 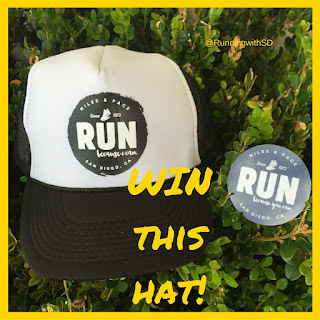 and a #Miles+Pace #GIVEAWAY! Disclaimer: I reviewed some items from Miles + Pace for review purposes. All opinions are my own and I have not been compensated in any other way. Happy Tuesday Friends! I have a super awesome giveaway for you today! A local San Diego company, started by two San Diego runners who Run ...because I Can! 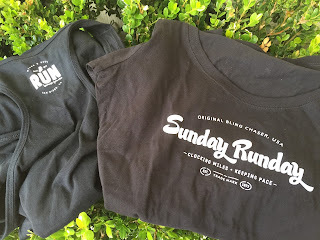 But as part of my link up with Tuesdays on the Run, you have to wait until I tell you all about my opinion on wearing the race shirt on race day. Surely, you have an opinion on this as well? I was a newbie at one point to racing. My first race was the Girls on the Go 5K and yes, I wore the race tank. But in my defense, the race tank was cute and pink and had a tiara on it. I was so proud! I even upgraded to the tech tee for $5 extra dollars! But now? No way! There are too many other cute things to wear! And there are times when you have agreed to dress the same as your crew! Or when you need to rep your brand? I will agree though that there are certain times a race shirt is okay to wear - VIRTUAL races! I have had a chance to do a few virtual races and I agree that you MUST wear the shirt while you do it! Like the Sole Sister 7 miler? Or the Love 2 Run 2.14 miler? But other than that, I think it is bad zhuzhu to wear the race shirt before you finish the race because I think of it as a "Finisher's Shirt." So what are your thoughts on this? I saw the green shamrock RUN hat on Instagram and I knew I must have it! Miles + Pace was so generous that they sent me a whole package and I want to share the love! So I am giving away the black & white trucker to one of you! They also have super cute shirts and tanks! In all sorts of colors. 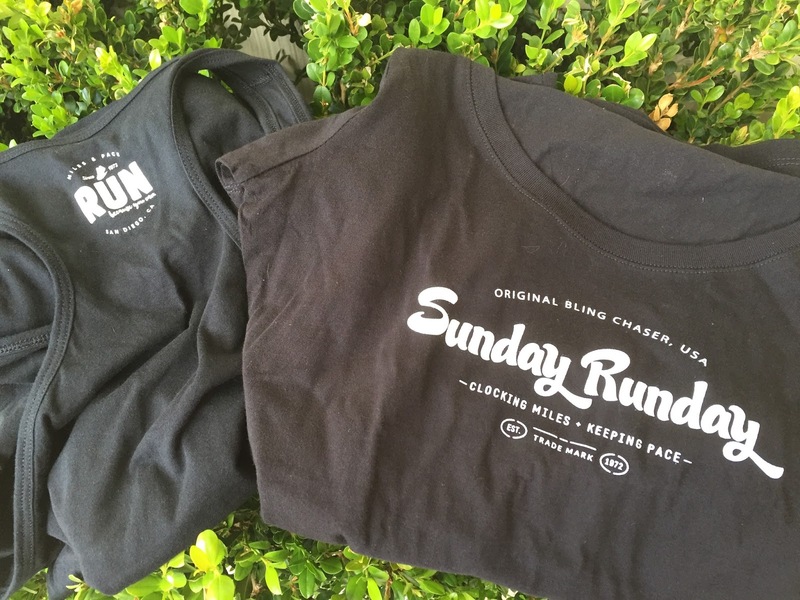 I have my eye on the kelly green Sunday Runday tank! The shirts are so cute and soft. And they have a whole new line of Beer Runner shirts which you know I need! Super EASY to win! Just enter on the Rafflecopter! All winning entries will be verified. If a winning entry cannot be verified as completed, a new winner will be drawn. Winner will be provided the prize directly from SD Mom. SD Mom not responsible for the failure of the USPS to deliver. So tell me...would you wear a race shirt on race day? Have you heard of Miles + Pace? What do you think of the gear? Which item catches YOUR eye? Love the Hat. Not sure I'd wear it to a longer race. Seems like it would get hot. But it's adorable! I loved it from the minute I saw it! Maybe a 5K? I totally agree with you about the race shirts!! (And funny because I just had this convo yesterday and they thought I was crazy). I think you need to earn the shirt before you get to wear it!! Wearing it for a virtual is allowed because unless you did no one would know what it was for! Rock on lady, I love your blog!!! You are sweet! Thank you! Earn it before you wear it! I have actually never worn a race shirt on tace day, from what I can recall. I usually have my outfit figured out way before packet pickup! The only time I remember wearing a shirt on race day is when it was a charity run and I wanted to make sure that the charity was what I was advertising on me. I have wore race shirts on race day and I don't really care. Where else would I wear it? It's not like I'd wear that race shirt to another race. True story! But I have seen people wear their race shirts to the next year's race of the same one. So I would wear my 2015 shirt to the 2016 running of the same race! No race shirt before the race for me! Not because I haven't "earned" it yet, but because I would probably either fall and break my leg or get struck by lightening. Too superstitious to wear the shirt until after the race! I so agree Smitha, you simply must wear the race shirt for a virtual run! I had forgotten about these!!! It is the only time I will! I agree! No race shirt on race day! We have other cute things to wear!!! Love the trucker hat!!! That hat is super cute! I am in love with my green one! I'd agree that it's probably not so bad to wear the race shirt for a virtual race, as long as it's comfortable! After running for so many years I have too many options to go with the shirt given out for a race anyway! I love running groups and dressing the same! I have never heard of this company before. I probably would keep the shirt to lounge around the house in, instead of running. I'm obsessed with those hats...SO CUTE! Race shirt only gets worn after the finish line is crossed! LOVE the hats - I am a hat fiend! I never have worn the race shirt. I don't like when people wear the same thing as me :) I think I would make an exception for a virtual race. Love trucker hats for running! I'm in the only wear after the race side. I won't wear a race shirt before a race. I will wear it to bed the night I run the race though! I haven't worn a race shirt before. This is the first time that I've heard of Miles + Pace. I really like their stuff though. Check out their gear. I like all of their hats! You don't see these all too often! I agree...it's a finishers shirt :) Plus who knows if it will fit right for the race! I just recently came across Miles+Pace and have been eyeing their stuff for sure :) All about the trucker hats! I think it's bad luck to wear the race shirt at the actual race. I have noticed, though, that people wearing the race shirts tend to get their pictures on the advertisements - so maybe if you want that, it'd be ok. I love the purple Sunday Runday tank! I've never heard of Miles+Pace but their stuff is great! I'd wear it or gift it. Send it to me. :) The items are very attractive. I have worn race shirt after the race, but I like to wear tanks when I run so I don't usually wear the t-shirt. I infrequently wear the race shirt of the race. I don't mind wearing a race shirt from a past race though. Most race shirts I don't like for one reason or another. I do like the trucker hat! Yes I would wear a race shirt to a race because of the feeling of comfort and belonging I think! I have not heard of Miles + Pace until now but I'm really liking way to much of their gear to list lol! I would! The more spirit the better! Yes, I would wear a race shirt because of the advertisement for the charity, if that is the case! I haven't heard of Miles+Pace, but now I'm glad I have!